The Christmas Menu Planner helps you stay on top of your holiday meal. 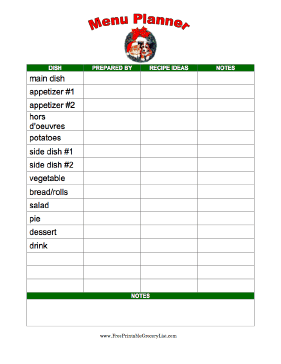 Lay out the dishes you want to include and keep track of who's fixing what. And save a drumstick for us.